Loving-kindness is affection, care and love for others and oneself, without extreme attachment or controlling feelings. Practicing gratitude and forgiveness in everyday life is not easy. But as we cultivate these qualities more and more, we gain energy, strength, inner peace and contentment. . Please complete the form by clicking the REGISTER button below to make an online booking for the Loving Kindness meditation retreat. However, your booking process is not complete until you have made the registration payment on the following page. Refreshments, CDs, books are available for free. 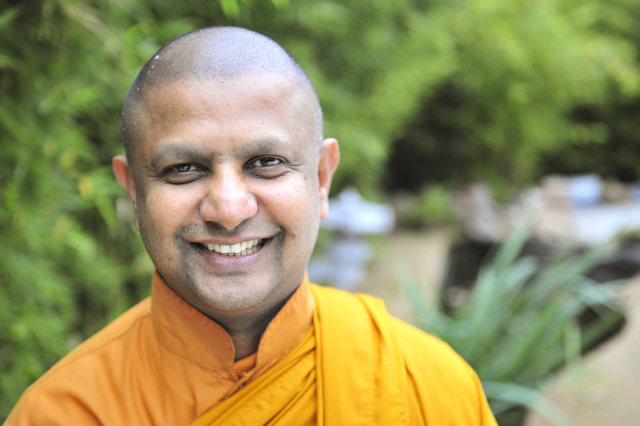 Bhante currently trains monks and nuns at the pagoda in Pali, and at the Johannes Gutenberg University in Mainz. He also worked as a lecturer in Sinhala. He taught Buddhist philosophy and religion in the context of the Buddhist University.